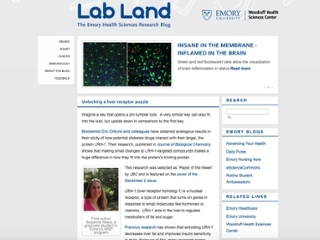 Lab Land highlights biomedical research for Emory laboratories. Primary topics include neuroscience, cancer, cardiology, nanotechnology, immunology and more. Lab Land is produced by Health Sciences Communications, part of the Woodruff Health Sciences Center at Emory University, and is edited by Quinn Eastman.